At Childcare Expo, we are always on the lookout for speakers to take part in our educational seminar programme and interactive workshops. 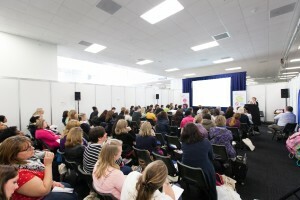 Each seminar session is 45 minutes long and seminars must cover the current issues and topics within the childcare sector and suitable for an audience of all early years professionals. Sessions must not be sales based and should be educational, informative and inspirational. The workshops at our events are hands-on, interactive sessions that last for one hour. Sessions must be able to provide visitors with some new ideas that they can take back to their own settings and must not be sales based. Please note, there is no set deadline for submissions, but we do recommend that you send your proposal at least six months before the event you wish to speak at. If you would like to submit a seminar or workshop proposal please complete this form.